E-books hosted on the MyiLibrary website will transfer over to Ebook Central on the evening of Wednesday 18th April. We have been advised that bookmarks, highlights and saved notes will not transfer – please see these instructions (opens PDF) on how to manually export notes if required. If you had used the ‘Patron bookshelf’ facility, you will need to re-create this on Ebook Central. Alerts have been added to the individual MyILibrary e-books in DiscoverEd. Further information about the Ebook Central and MyiLibrary websites can be found via our E-Book AZ lists. 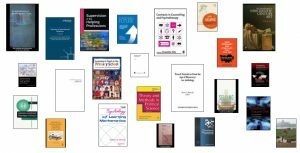 This entry was posted in Access issues and tagged Ebook Central, ebooks, Library, MyILibrary on April 12, 2018 by eresources.